Reliance Jio chief claimed for JioPhone it registered a whopping 6 million bookings in first three day pre-order period and finally JioPhone is delivery here and reaching customers. The Jio feature phone comes with 4G and supports VoLTE technology and it is price rupees 1,500 that is refundable after three years. My hands on the popular JioPhone and here are my first impressions and its real, makes sense and works. At first, you look at a JioPhone like any other feature phone available in the market. It has a standard candybar design and features an alphanumeric keypad and a four-way navigation track pad at the centre. It also has a micro USB port and a 3.5 mm audio jack, located at the base while the top has a LED flashlight. The feature phone has a 2-megapixel rear camera and a VGA front-facing camera with 2.4-inch QVGA display and square design. It has a single-SIM phone, and supports additional storage up to 128GB via a microSD card. It has a removable 2000 mAh, Li-Po battery, which the company claims of backup up to 15 days. 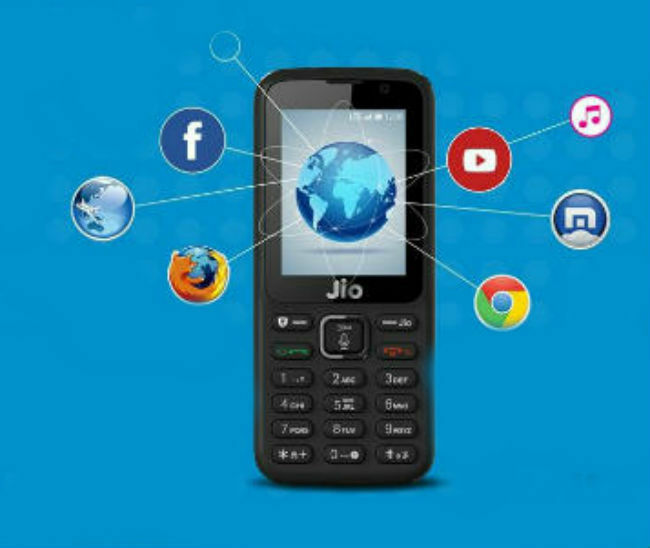 The JioPhone has a lot to offer and it comes preloaded with JioMusic, JioTV, MyJio, JioCinema, JioXpressNews, HelloJio, JioVideoCall along with popular messaging apps. 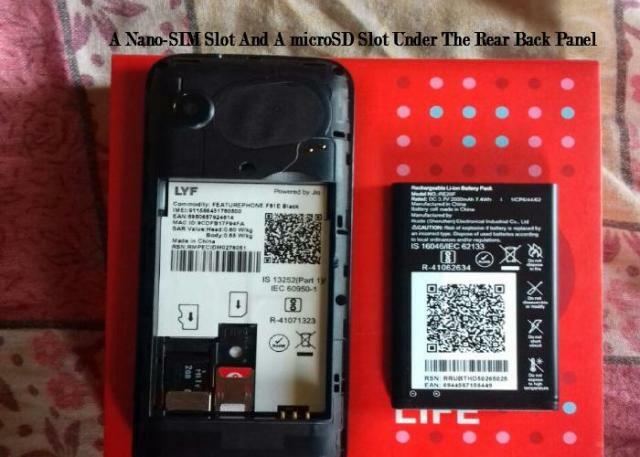 The JioPhone has a nano-SIM slot and next to a microSD slot under the rear back panel.The JioPhone audio quality was satisfactory and videos or live content has been very good for a lower resolution screen.The feature phone does support Wi-Fi, Bluetooth and USB for connectivity, but it does not have a mobile hotspot feature. The JioPhone camera quality is too good from a basic feature phone. You can clean selfies in good light conditions but don’t expect the quality of a smartphone. 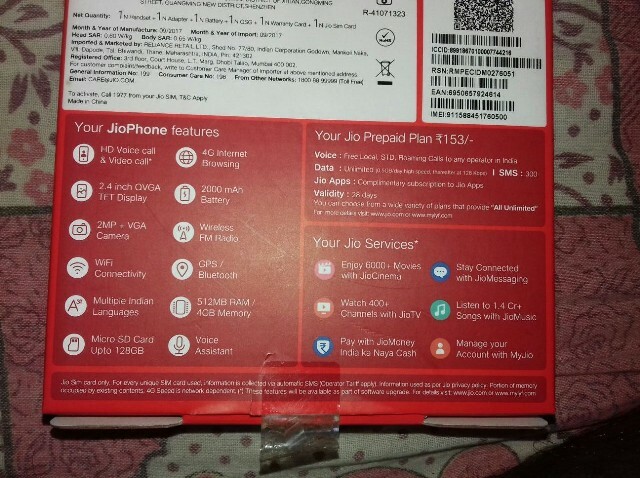 Finally, JioPhone comes bundled with a Jio SIM card and if you will have to recharge and activate it? At first completing the e-KYC process from the nearest Jio Store but if you already have a Jio SIM card then you can just insert it and start using the same number and data plan. However, vast majority of the Indian population is still not connected and a lot of them 50 crore feature phone users in the country. 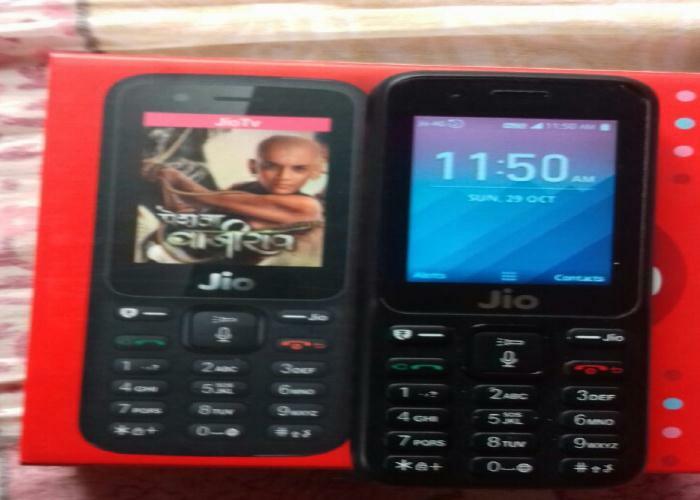 Then Reliance Jio hopes their feature phone is delightful to enjoy Internet, voice and video call with little subscription to Jio Dhan Dhana Dhan plans rupees 153 per month.